Can’t deny it, but I’ve been into surfing lately. 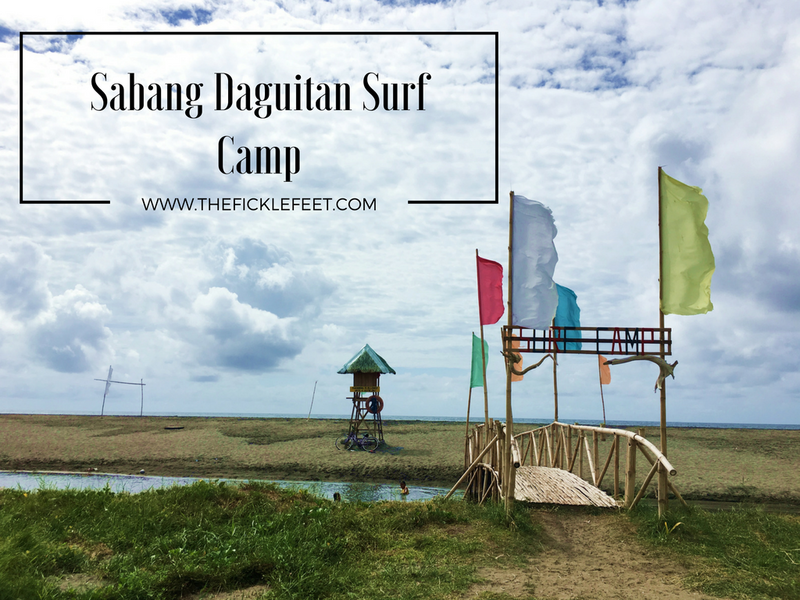 It was all started in Lanuza, then I got stoked in Mati, and tried it here in Sabang Daguitan Surf Camp in Dulag, Leyte. I don’t know what’s with this activity, and why it is so addicting so don’t ask me. Just try it and don’t ever blame me if you’ll be the next addict. Haha. I must say that Sabang Daguitan Surf Camp is a good place for beginners. And as a beginner who tried to surf bigger waves more than I can handle. Let me tell you something. Your first few rides are memorable. It will make you love the sport or not. But if you’ll have a not so good experience on your first, just like me, don’t call it quits. Try it again and maybe on the second round it will be better. And I believe you have to choose a good place to try surfing and also don’t forget to have fun. Ask the driver to drop you in Sabang Surf Camp. The Van will drop you in the street corner of Sabang Surf Camp so just take motorcycle for Php10.00. From Baybay – we took RoRo via Roble Shipping for Php290.00(economy). This is our first choice going there and this is also the easier way but time was not in our favor so we took the longest route. What Sabang Surf Camp can offer? You can get a non-air-conditioned room for only Php1000.00! Inclusive of 2 double-deck beds good for 4 people and a nice bathroom. If you’re with more than 4 people, you can ask for extra foam for Php100.00. There’s a restaurant at the Camp. They serve affordable meals. There’s no menu so just ask what’s available. TIP: Just buy your own food and ask the staff to cook them for you. It’s cheaper! PS. Their fruit shakes are good. PS: They have limited boards and trainer. Try to haggle if you’re in groups so that everyone can enjoy surfing. Try to do research when is the best time to visit Dulag. I believe the surfing season is in November-March. Ask the locals what is the best time to surf. When it is not in season the waves are almost flat so you are lucky if you can surf with good waves. During our stay, we did catch some waves during 10:30AM. Going to Dulag, try to choose option number 2 via Roro. Less cost but it will take long. Like what I said earlier. Buy your own food so you can save more. I prefer canned goods. And don’t forget to visit Dao Balay Kawilan! It is near the camp. If you have more time, go to Tacloban which is an hour away from Dulag.